At the beginning of January, researchers in the life sciences gathered at the Wellcome Trust in London to hear the first results of data analysis carried out using a new private academic cloud, set up by eMedLab, a consortium of seven academic research institutions. On the other side of the Atlantic, a couple of months earlier, the US National Science Foundation (NSF) awarded a five-year, $5 million grant to the Aristotle Cloud Federation to federate the private academic clouds of three, geographically dispersed universities. Both the private and the federated clouds are attempts to solve the same two scientific problems: how can academic institutions with limited budgets afford the compute power necessary to analyse the huge data sets produced by modern science; and how can they share these data sets efficiently, without having to replicate them many times? The two projects exemplify the recent surge of interest in high-performance cloud computing, as described in the feature article in the Feb/March issue of Scientific Computing World: 'HPC finally climbs into the cloud'. Data derived from patients or volunteers for medical research is sensitive and there are legal and ethical constraints over who can have access, and over where the data physically can be held. Just moving petabytes of data around is a challenge by itself – it takes time. Pallas estimates that even with a dedicated fast connection –10Gig -- provided by the UK’s Joint Academic Network (Janet), it would still take a month to get a petabyte of data from the European Bioinformatics Institute into the eMedLab architecture. And replicating very large datasets, regardless of the issue of moving the copies, quickly becomes onerous. Part of the driver behind the creation of eMedLab was to have a petabyte data storage system very closely coupled to the compute infrastructure. In this way, Pallas explained: ‘We could hold these large data sets and have them analysed by multiple research groups asking different questions of these data’. The reason the consortium opted for a cloud solution, rather than a straightforward HPC cluster, was, she continued, because ‘many different research groups were envisaging asking for resource to use quite different types of code and analysis pipelines, to ask different questions of the datasets’. 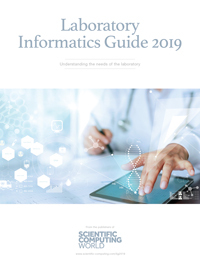 With a cloud solution, ‘bioinformatics researchers could build their virtual machines – their preferred suite of pipelines -- on their desktops and port it into eMedLab’. Users can request as much compute as their analysis requires, up to 6,000 cores. eMedLab is consortium of research institutions mostly located in London: University College London; Queen Mary University of London; London School of Hygiene & Tropical Medicine; King’s College London; the Francis Crick Institute; the Wellcome Trust Sanger Institute; and the EMBL European Bioinformatics Institute. The cloud is physically located in a commercial data centre provider’s premises in Slough, a town to the west of London. The hardware was put together by UK-based integrator OCF, whose work extended also to the OpenStack software. ‘OCF have been brilliant in supporting the community,’ Pallas said. The Aristotle Cloud Federation has no such compact geography but spreads from the east to the west coast of the USA: it is a joint undertaking by Cornell University (CU), the University at Buffalo (UB), and the University of California, Santa Barbara (UCSB). Each site has its own cloud infrastructure and so ‘it is truly a federation and the hardware is truly distributed,’ Lifka said. Like eMedLab, the Aristotle federation has 10Gig connectivity, ‘and I can tell you that we are already thinking about 100 Gig connectivity in the future,’ Lifka added. The consortium uses Globus Online to move the data. In part this is because of reliability but it is also because of ease of authentication of users and access. The federation is using InCommon, a standard trust framework for US education and research that allows trustworthy shared management of access to on-line resources, as a way to authenticate users, and Globus supports that. ‘So with a single log-in, you have a standard way to move data, a standard way to authenticate each cloud, a standard way to launch your VMs, and it just becomes a matter of learning how to do that,’ Lifka said. Despite the similarities, there are significant differences between the two set-ups, deriving in part from geography and also from different legal constraints. In particular, these colour attitudes to ‘bursting out’ into the commercial cloud. The original grant from the UK’s Medical Research Council focused on three disease areas; cancer; cardiovascular; and rare diseases and Pallas pointed out that the architecture of eMedLab was designed very specifically for this type of medical and bioinformatics research. ‘There is the issue around commercial cloud provider architecture – it’s very much commodity, not optimised for the kind of specialised architectures that we use across academia,’ she continued. In addition, in Europe, there are legal restraints on where the data can be held physically – essentially it has to be located in countries, and under the control of organisations, that are subject to EU data protection legislation, and that makes US-based commercial providers legally sensitive. Eucalyptus fulfils the function of all cloud-enabling software by allowing users to pool compute, storage, and network resources and scale them up or down dynamically, as application workloads change. Anyone can download the software for free and build production-ready private and hybrid cloud clouds compatible with AWS APIs. Optional consulting is available from HPE. The Aristotle project has grown out of Cornell’s early experiments with ‘a very modest-sized cloud, a complementary resource to the true HPC clusters we have at Cornell.’ But there was a realisation that even for a leading university such as Cornell there was a limit to the capital expenditure on compute resources. Capital cost could be spread if more than one institution joined together in the federated cloud but, he pointed out: ‘When people burst to Amazon, it’s because they need a lot more resources than we are going to capitalise. But we can offer a better price for the scale that we can keep busy, so we make it easy for everyone to pick the most cost effective price/performance solution.’ Metrics developed by Aristotle partners UB and UCSB will enable scientists to make informed decisions about when to use federated resources outside their institutions. Although, as is the case for eMedLab, the NSF grant to Aristotle is focused on data intensive applications, Lifka believes there will also be a lot of opportunities for computationally intensive jobs. However, like Pallas, he accepts that the commercial cloud providers ‘are never going to adopt tightly coupled infrastructure as their core business, because that hardware carries a premium and they not going to get enough business to recover it. They’re going to go straight commodity – throw away pizza-box servers. That’s where the volume market is and that’s what they’re betting.’ However, he is upbeat about this and believes that the research community will adapt the way it does computing to fit the type of compute resources they have available. Lifka sees a similar paradigm shift happening today, because what is important to researchers is ‘time to science’ not the length of time a job takes to compute. ‘If you can wait in line at a national supercomputing centre and it takes five days in the queue for your job to run, and then you get 50,000 cores and your job runs in a few hours, that’s great. But what if you could get those 50,000 cores right now, no waiting, and your job takes longer to run but it would still finish before your other job would start on the big iron machine.